The National Pioneer Women's Hall of Fame currently offers three exhibits. 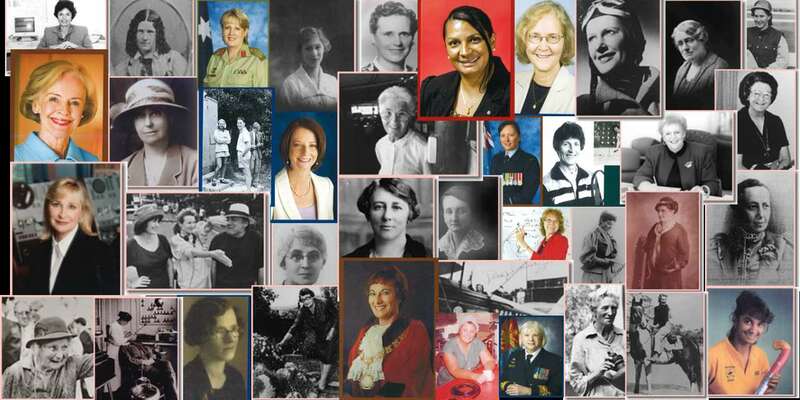 The very first women, either in Australia or their State or Territory, in their chosen field of endeavour. Women born here and those who came to the centre of this vast dry continent Australia, and stayed. How do museums represent women and work? What do their collections tell us about the work that women (and by implication, men) do? How do museums represent all the recent changes in women’s work which have taken place? Do some objects symbolise women’s work more than others? Are there “women’s” objects? If yes, do objects have a gender, or do they help construct gender? Or is gender simply a figment of our socially constructed imaginations? What is women’s work? How should museums represent it? Join us for a concert of women lifting up women, on the grass and under the stars at the National Pioneer Women's Hall of Fame in the Old Gaol. This heritage listed building has been opened to the public. Image courtesy of Tyler Harris.